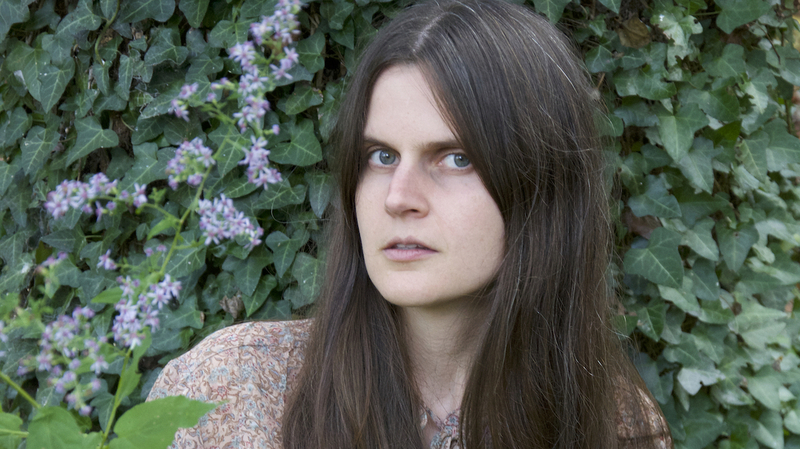 Flora And Fauna Explode In Sarah Louise's 'Deeper Woods' The fingerpicking guitarist honors the soft landscape and vivid detail of forests, embedding meticulous guitar compositions in lush arrangements. Sarah Louise's Deeper Woods comes out May 11. For as long as humans have roamed the earth, forests have captivated a special slice of our collective human imagination. From hot, wet jungles to dry, snowy taigas, forests are sites of refuge, mystery and abundance. It's understandable, then, that guitarist Sarah Louise Henson shares in that fascination. She's based near Asheville, N.C., where dense greenery coats the billion-year-old Blue Ridge Mountains. From a distance, the region looks like a rumpled emerald green rug. But up close, the flora and fauna explode in vivid detail: creeks and waterfalls, poplars, pines, ramps, rhododendrons, ladyslipper orchids. On Deeper Woods, Henson honors both sides of this staggering beauty as she embeds meticulous guitar compositions in lush arrangements. Henson's career so far has largely hinged on her unmatched prowess as a fingerpicking guitarist. Solo, she's made a handful of excellent albums of 12-string acoustic guitar music, and with Black Twig Pickers fiddler Sally Anne Morgan, she blends traditional and old-time tunes with contemporary experimentation as House and Land. But on Deeper Woods, Henson continues to stretch out — at times, the record feels like it has has more in common with a heady psych-rock LP than it does with any folk album. "Up On the Ridge" marches along before spiraling out into a spacious instrumental conclusion, while scorching electric guitar embellishments, tumbling percussion, and splashy cymbals make "When Winter Turns" hypnotic. Henson's brilliant guitar work still stands out, even among the record's broader arrangements. Using chords and picking patterns of her own invention, Henson draws out the finer details of her instrument's capabilities. She'll peel off what sounds like a hurricane of notes before she dramatically shift gears, and the effect is akin to pausing for a deep breath. In "Pipevine Swallowtails," that manifests as knotty picking giving way to sparse notes that feel light and fragile, while thrumming tones in the background of "On Nights When I Can't Sleep" yield to tightly packed twinkles. Throughout Deeper Woods, Henson's high, airy voice naturally recalls old-time ballad singing, but more frequently, she sounds like the emperor of the very woods she's celebrating. Nature seeps into her lyrics, too, with lines about knowing owls, spiders and secretive salamanders. With "The Field That Touches My House and Yours," spacy, subtly panning keys animate the dreamy landscape Henson describes — a corridor of vines, an alley of ferns, and sheets of smoke pushed down by the wind. Henson makes it easy to inhabit her intimate world, one where the small wonders of the woods and the abounding melodic possibilities of a 12-string guitar are complementary fractals. "Fire Pink and Milkweed" brings Deeper Woods to a rapturous close, with Henson singing unaccompanied but for her own overdubbed vocals. It feels like the hazy space between sleep and consciousness, where boundaries between reality and surreal dreamscapes are smeared. "My eyes open to begin again," she sings, and you're ready to join her on the journey.